For those who enjoy Nordic skiing, there is no better place to head in Illinois than Lake County, an area located north of Chicago, along the shores of Lake Michigan. Both beautiful and convenient to the city, Lake County is home to more than 166 miles of cross-country trails. Plan to stay at Shady Oaks Bed & Breakfast in Lake Zurich and enjoy a weekend or longer trekking in the woods. 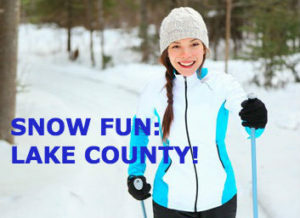 Lake County offers more than 30 locations for cross-country skiing, ranging from short easy treks to more challenging long paths. Most Forest Preserve Trails are open daily from 6:30 a.m. through sunset. Several trails offer night skiing until 9:00 p.m. on illuminated trails, from early November to early March. These include the Old School Trail in Libertyville and Millenium Trail in Wauconda. Old School is a 2.7-mile loop through woods and prairie. Millenium Trail is extensive, currently encompassing 31 miles. For those who prefer groomed trails, there are several choices, including at the Lakewood Sports Area, Old School, and a stretch along the Des Plaines River Trail. Grooming on these trails is usually done within two days of a large snow. Both Lakewood and Old School are equipped with solar lights for night skiing, as noted above. The Lake County Forest Preserve website lists all the cross-country ski locations, directions to parking areas, and hours for each. Book a room at Shady Oaks B&B, and you can also check with the Innkeepers for directions and information on cross country skiing. Shady Oaks is located on the eastern shore of Lake Zurich and is that wonderful mix of historic elegance and modern convenience. Choose from five luxury suites with full baths, and savor delicious breakfasts each morning. 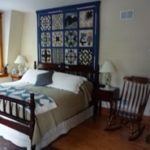 Shady Oaks Bed & Breakfast is a member of the Illinois Bed and Breakfast Association and offer a unique lodging experience! 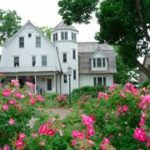 This entry was posted in Cross Country Skiing, Illinois Bed and Breakfasts, Outdoor activities, Winter and tagged cross-country skiing, Illinois Bed & Breakfasts, outdoor activities by admin. Bookmark the permalink.